If you would have told me a year ago that I'd be buying a giant pillow that wrapped around my body, I'd call you a fool. But here I am entering my credit card information. 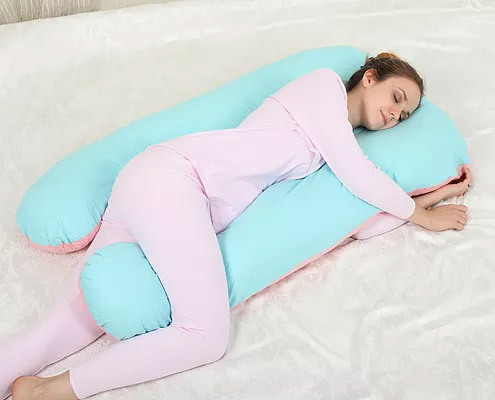 This giant pillow is shaped like the letter U, and elegantly wraps around your body, allowing you to enter the most incredibly comfortable sleeping positions ever thought of. 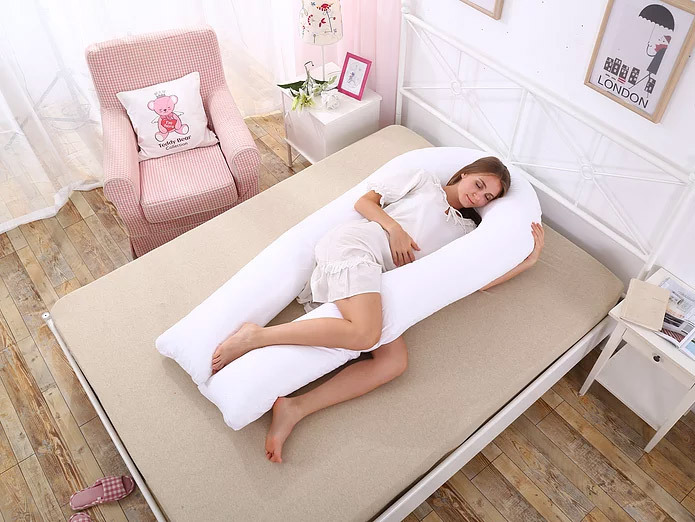 Extra great for pregnant women and men who just ate Chipotle, the giant U-shaped body pillow will perfectly cradle your body so that you stretch out while having support on both sides of your body. Plus, the giant pillow will help eliminate tossing and turning, all while keeping your neck, shoulders, back, and hips all aligned throughout the night. 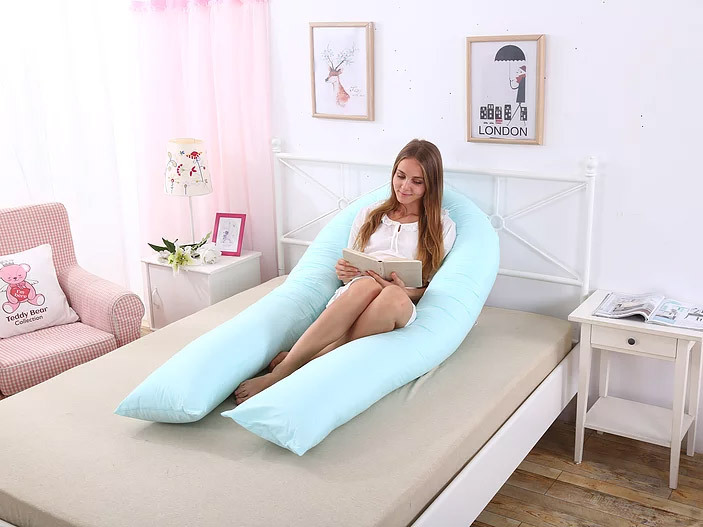 Perfect for nursing, reading, sleeping, or watching TV, the giant U-shaped body pillow is filled with a premium bionic polyethylene filling that has high-density and is extra soft. There is even a zipper to the filling area so you can DIY the filling adjustment level to your own ideal comfort. 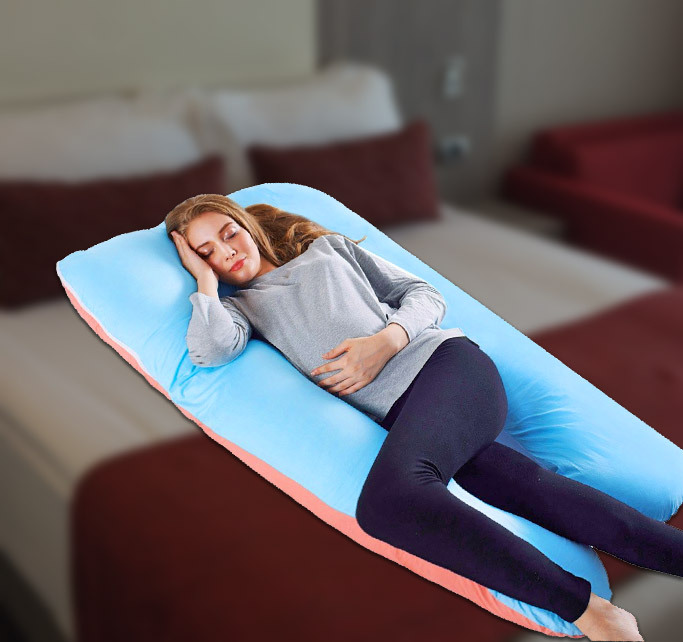 The giant U-shaped body pillow is made from cotton (cover) is non allergenic, has a double-zipper lock that allows you to remove the cover for cleaning, and it comes in a few different colors to choose from. Check out the giant U-Shaped body pillow in action via the video below.